A warm welcome awaits you at the Glendine Inn. 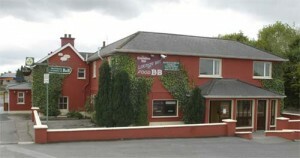 It is just a 15-minute walk from the center of the medieval city of Kilkenny and has a big parking space. It is a licensed tavern for over 250 years and being one of the oldest pubs in Leinster, is is more than proud of the heritage of the premises. The Glendine Inn has 7 en-suite bedrooms, a residents lounge, and a dining room on the first floor. All of the rooms have central heating and TV. The lounge and public bars are on the ground floor. Lunch and snacks are served daily while evening meals are served upon request. For further info and for bookings, please contact Louise of the Glendine Inn using the details below.